The recent intensification in commodity delcines, the dollar surge, and globally depressed commerce is continuing. With few exceptions, people don't get a job for social reasons. They go to work each day in order to earn money to purchase necessities, discretionary goods, and to save for future needs. In short, they work because of cold, hard cash. But the current expansion also is better than 3 others. These two delivered more wage growth initially, but it didn't last because the economy fell back into recession quickly. 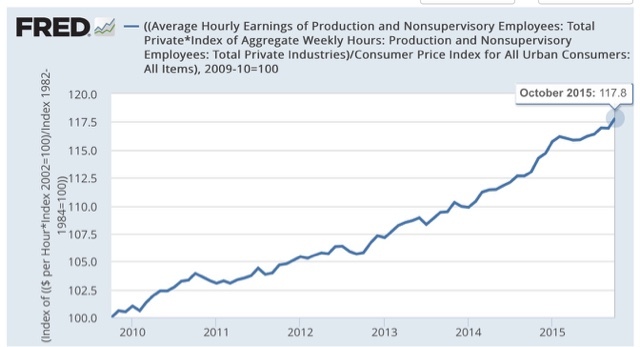 This delivered weaker wage growth, over a short period, and fell back into the worst recession in 75 years. Bottom line: the current expansion isn't great, but it hasn't been poor either. 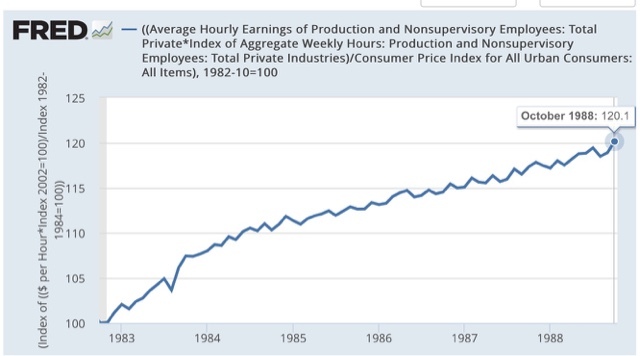 If it lasts another year or so, it may overtake the 1980s to land in third place. Don't tell anybody! I have a new post up at XE.com, showing how single family vs. multi-unit construction have gone in separate directions, due to the continuing distortions of the NYC program that ended in June. 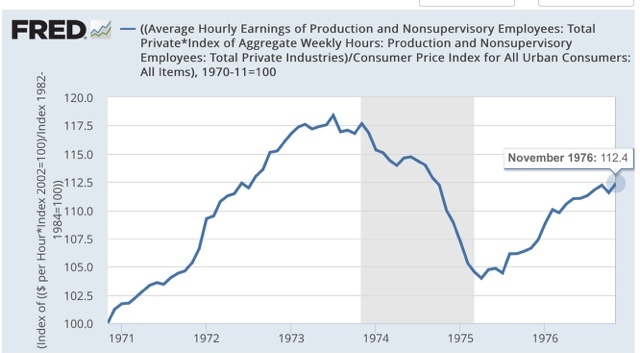 You will probably read some commentary from the usual suspects about how yet another negative industrial production number means that We Are DOOMED! 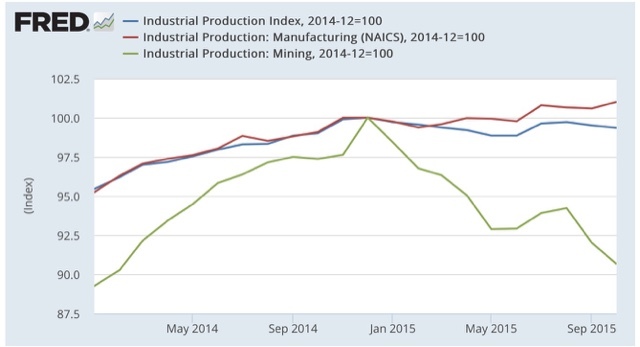 Yes, industrial production as a whole is showing a shallow recession. But, despite the big hit to exports due to the strong US$, manufacturing production made a new all-time high in October. The Oil Patch continues to hurt in a big way, and this is what is bringing down the overall number. 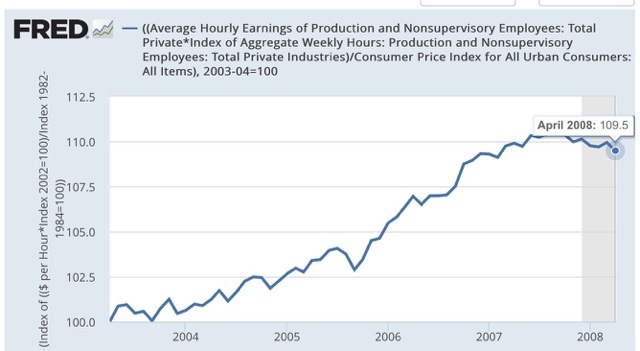 In short, the broader US economy continues to move forward. 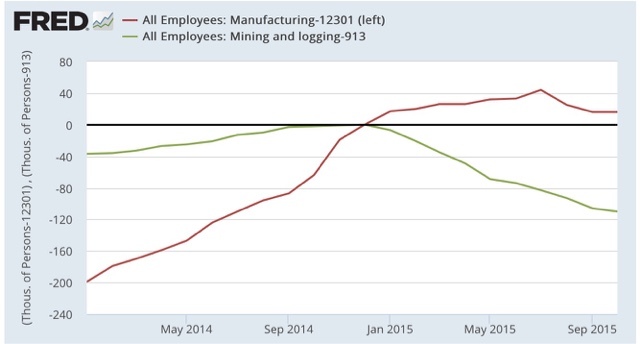 Although it has taken a small hit in the last few months, manufacturing employment is still up since last December. Mining, on the other hand, is sucking wind. 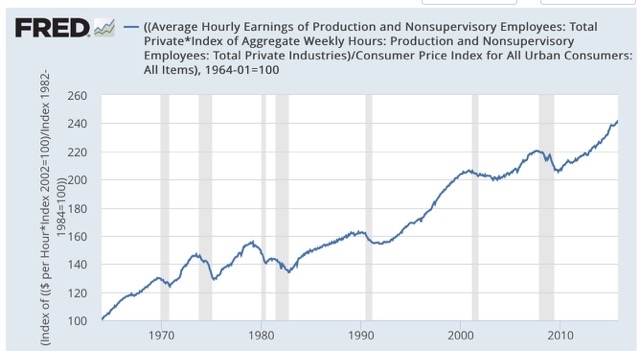 The net decline has been about -100,000 jobs, or about -10.000 a month. 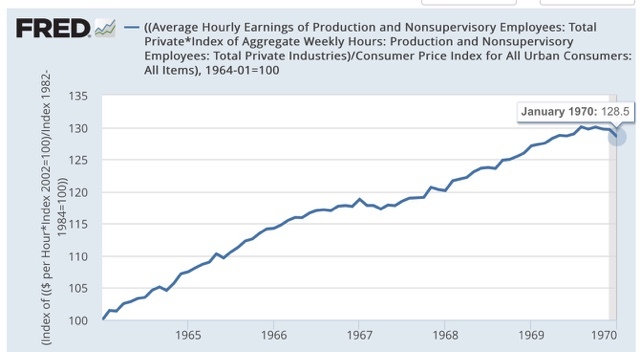 This has not been nearly enough to overcome the continued growth in services employment. 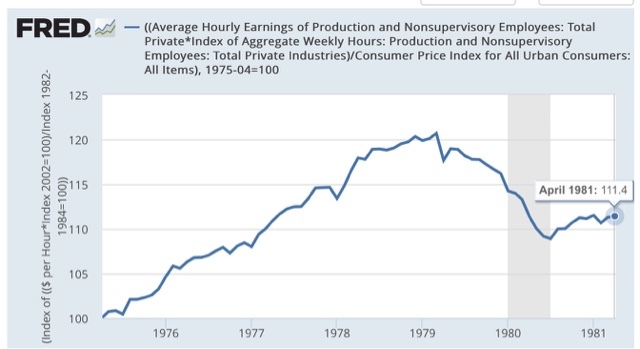 The US is primarily a service economy, and the hit to the Oil Patch is just not enough to take it down. 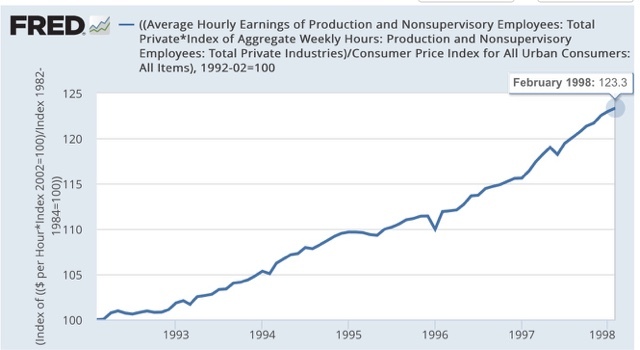 ECRI has some new commentary claiming that wages are only growing because aggregate hours are declining, to which I say, "Huh?!?" The historical record says this isn't uncommon at all.